Yeah, we've seen our fair share of glimpses at Garmin-ASUS' nüvifone G60, but with the Linux-based phone just weeks away from shipping over in the Far East, these last minute looks are becoming all the more tantalizing. 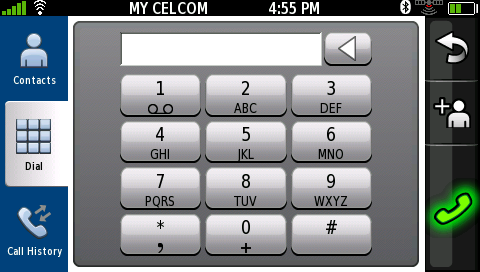 A reviewer over in Malaysia managed to spend a bit of quality time with the handset, and while he's still waiting for his official review unit, he managed to snag a litany of screenshots that gives us a fantastic idea of what to expect from a user interface perspective. We have to say -- we kind of dig the whimsical look at a glance, but it makes us wonder just how serious of a smartphone this thing really is. With Android already out, does this UI look like it has the chops to compete? Hit the read link and let us know. Garmin-ASUS nuvifone G60 spills loads of Linux-laced screenshots originally appeared on Engadget Mobile on Thu, 23 Jul 2009 17:51:00 EST. Please see our terms for use of feeds.